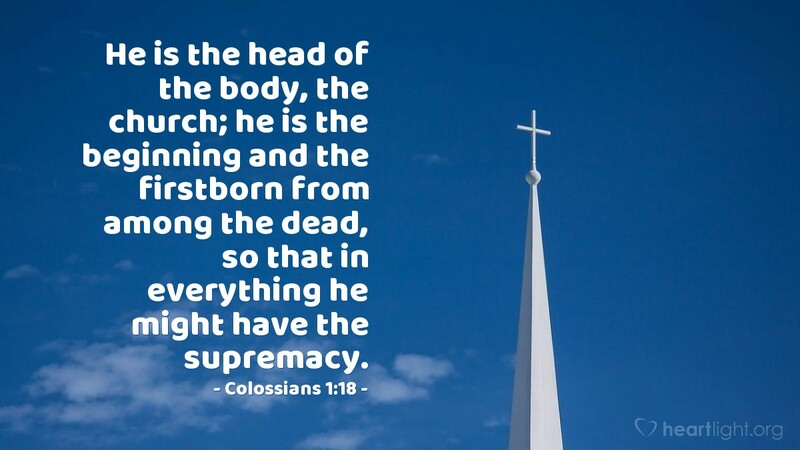 Lord Jesus, I ask you to take control of your church, your Body. Please glorify yourself in us and permeate our leaders' hearts with your will. We want the world to see your supremacy because of our unity and devotion to you. And Holy God, please glorify yourself in Jesus through the Church. To you, Lord God, and to your Son and our Savior Jesus, be all honor and glory and praise for now, and forevermore. Amen.